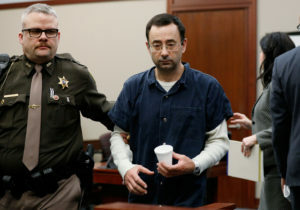 WASHINGTON — The Justice Department’s inspector general is investigating how the FBI handled sexual abuse allegations against former USA Gymnastics national team doctor Larry Nassar. That’s according to a person familiar with the matter, who wasn’t authorized to discuss the matter publicly and spoke to The Associated Press on condition of anonymity. Spokesmen for the FBI and Justice Department’s inspector general did not immediately respond to requests for comment.